On Thursday, fall came early for hundreds of thousands of Mac users as Apple released its first public beta of OS X Yosemite. The public-beta program, announced during Apple’s annual developer conference in June, is letting regular users download and test pre-release versions of OS X. Apple says the first million users to sign up at the OS X Beta Program website will be able to test Yosemite before the OS is released to the general public in the fall. Users who signed up for the program are receiving redemption codes to enter in the Mac App Store, at which point a Yosemite installer app will download to their Macs. Once Yosemite is installed, future updates to the beta software will come automatically via the system’s standard Software Update functionality. For much more detail about the public beta and how to install it, check out our our OS X Yosemite public beta FAQ. Apple developers know to use the company’s Radar bug tracker to file bugs, but regular users won’t need to. Instead, Apple is asking users to send feedback and communicate bugs via the Feedback Assistant app, which will be installed along with Yosemite on all beta-test systems. Just as a reminder, OS X Yosemite is still under development, so apps and services may not work as expected some (or all) of the time. Back up your Mac before installing, and you should definitely consider installing Yosemite on a Mac that you don't use for day-to-day operations just in case something goes wrong. 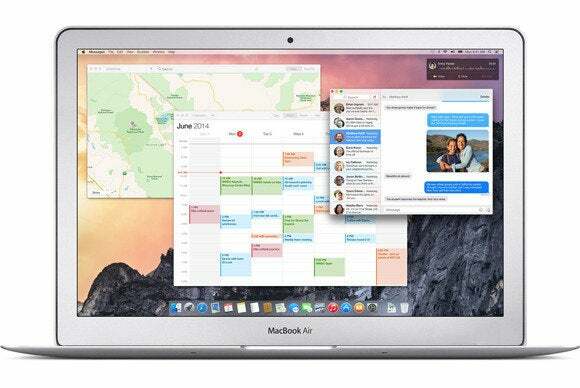 Still on track to be released this fall, OS X Yosemite features some major design changes including upgrades to Safari, Mail, Messages, and Notification Center, and the new iCloud Drive service. Unfortunately, one of the most anticipated features of Yosemite, Handoff, also requires iOS 8—and Apple’s not doing any public beta-testing of that. We’ll be updating all of our OS X Yosemite coverage all the way through the final release this fall.